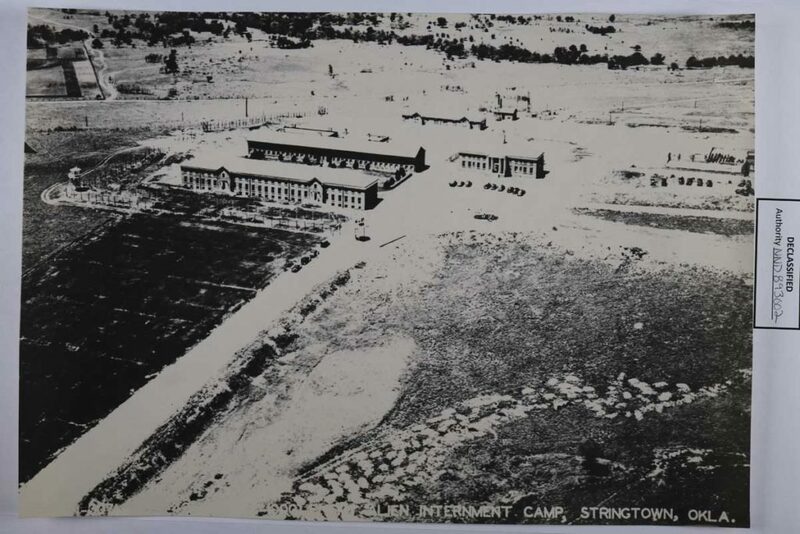 Although the environment at Stringtown was described as bleak, most internees made the best of it by keeping the living quarters (former inmate cells and added barracks), as clean as possible and engaging in meaningful hobbies. Also, internees were responsible for preparing their own food. Guards and administrators reported that the meals for the internees were much better tasting than the food they received. There was a small, vocal Nazi element at Stringtown, estimated to be less than 3% of the general population. This element had an unsettling effect on the atmosphere of the camp, especially for the few German Jews who were interned there. Two German internees died at the camp and are buried at Ft. Reno. The “permanent” status of Stringtown turned out to be short lived because it was closed in June of 1943. By then most Stringtown internees had been transferred to camps run by U.S. Border Patrol personnel under the jurisdiction of the Department of Justice. 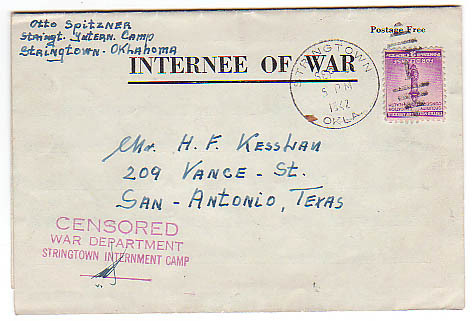 For the remainder of World War II, Stringtown housed German POWs. 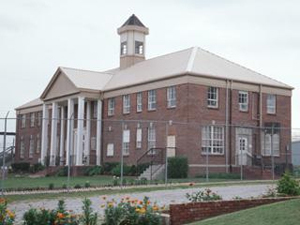 The site now contains the Mack Alford Correctional Center, a medium security prison.